Not long ago CDQ announced his exit from General Records to form his own NSNS Records and also got back to his former Manager Obinna (Ob9ja Mangement) after 2 years. Things are blossoming for the NSNS Artiste. While most artistes who leave their bourgeoisies’ owned record label to form their own struggle at first, CDQ has proven he has what it takes to make it as an artiste and a record owner boss. His South African tour which is the first of his tour series will see him shutting down Major Cities in South Africa. The indigenous rapper’s songs are in high demand in South Africa, thus the choice to kick start his worldwide tour in South Africa From 15TH – 22ND March 2017. 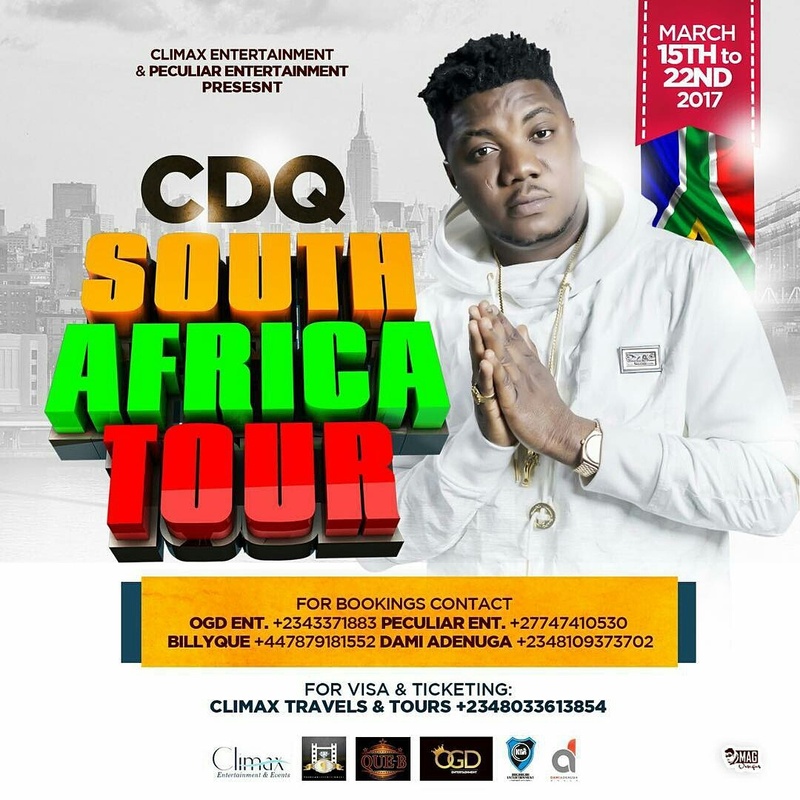 Other forthcoming tours include CDQ US Tour.